York 360° ~ Property in York, Estate Agents in York. York Estate Agents. York is a great city to visit and an even better place to live. 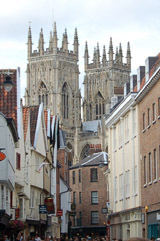 There are very nice buy & let properties in York. Apartments overlooking the River Ouse, Grand Georgian houses on The Mount, old listed buildings within the city walls or cottages in the picturesque North Yorkshire villages. Below is a list of York Estate Agents to help you find the perfect place. Two of Britain’s leading property companies have bought the former Terry’s Chocolate Factory and hope work can start on building new homes there as soon as the summer. Henry Boot Developments Ltd and York house builder David Wilson Homes, part of Barratts, have jointly signed a deal to acquire the whole 27 acre site from owners GHT Developments LLP (Grantside) for an undisclosed sum. 200 construction jobs will be created through plans to build 270 new homes on the South Bank end of the site. As we approach the launch of this eagerly awaited development we will be opening a bespoke Visitor Centre. 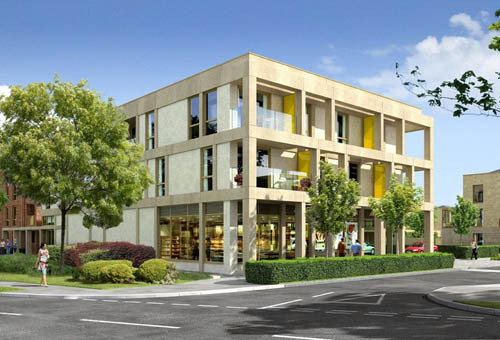 This will give buyers a first look at a typical apartment and include a dedicated Choices area giving the option to persionalise your new home. 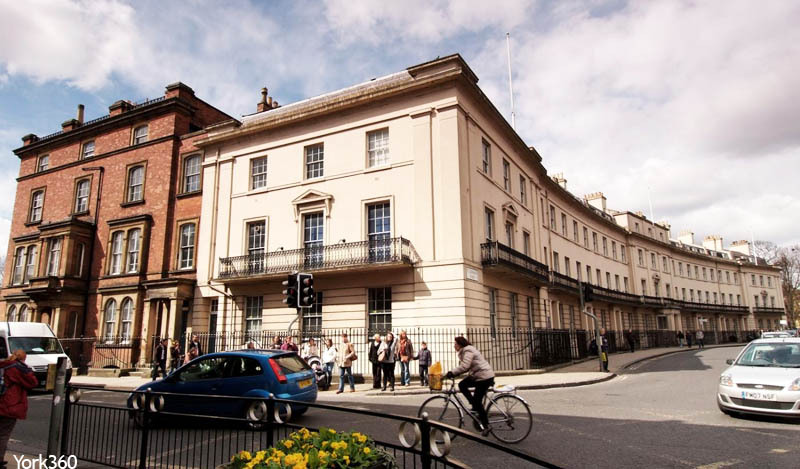 This Grade II listed crescent will be transformed into new luxury apartments/properties. Formerly owned by the City Council. St Leonard’s Place was built in the 1830s, which involved the demolition of a section of the city walls next to Bootham Bar. Richard Flint Reveals State-of-The-Art Investment In Yorkshire's Renewable Biofuel Energy. 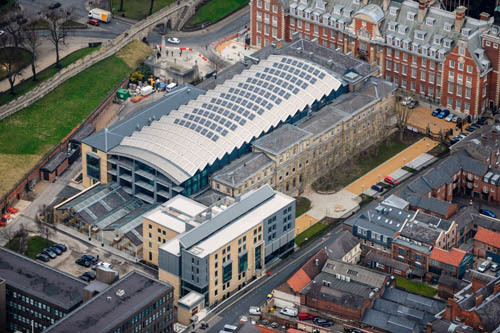 Yorkshire Water has generated an increase in their renewable energy by almost 80% following a £56 million investment. The vast sum has been invested into major economical and service improvements at the Esholt waste water treatment works in Bradford, and Blackburn Meadows treatment works in Sheffield. Upgrades have been made to settlement tanks and the filtering screens used to remove objects from the waste that arrives at the sites. The fact that Yorkshire Water is treating more sludge than ever is one of the main reasons for the surge in renewable energy; an amazing 97,000 tonnes are now being dealt with. Deploying an innovative way of generating energy, methane gas is extracted from the sludge as it is processed and later converted into a biofuel. Incineration of sludge has also been further reduced as a result of the investments. Not only is the substantial energy generation of 75 gigawatt hours equal to the power needed to brew three billion cups of tea! but Yorkshire Water will subsequently reduce its carbon footprint by nearly 15,000 tonnes, cutting running costs in the process and potentially passing the savings onto the consumer. March 2013 - The future look of Kings Square. Kings Square will become easier to access for pedestrians, will include additional seating and possible cafe provision on the edge of the square and provide ample space for performers. 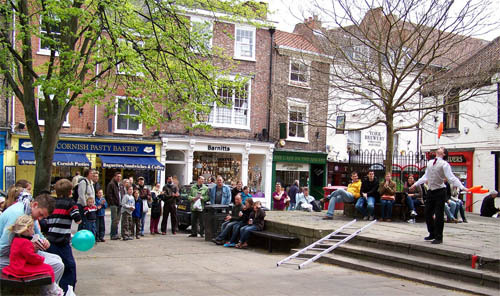 Cabinet will be asked to approve the preferred design (option one) at a Cabinet meeting next week (2 April), which will see approximately £490,000 (out of previously agreed funding) invested into the square from the Reinvigorate York initiative/budget. 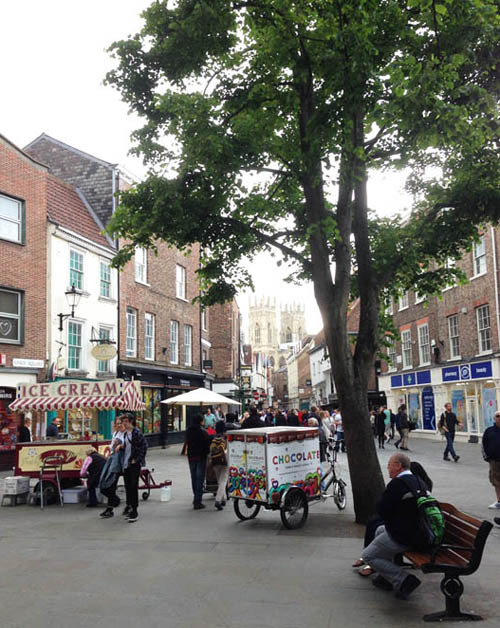 Almost 200 people responded to a recent consultation on plans to improve and enhance one of York’s most popular city central public spaces – which will see the whole square repaved and the central raised area remodelled. 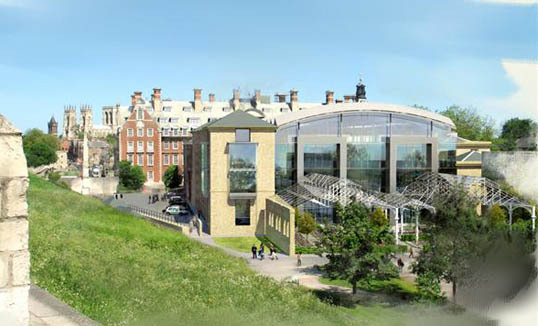 2012 - Work has started on the impressive West Offices scheme to provide a new headquarters and customer centre for City of York Council. 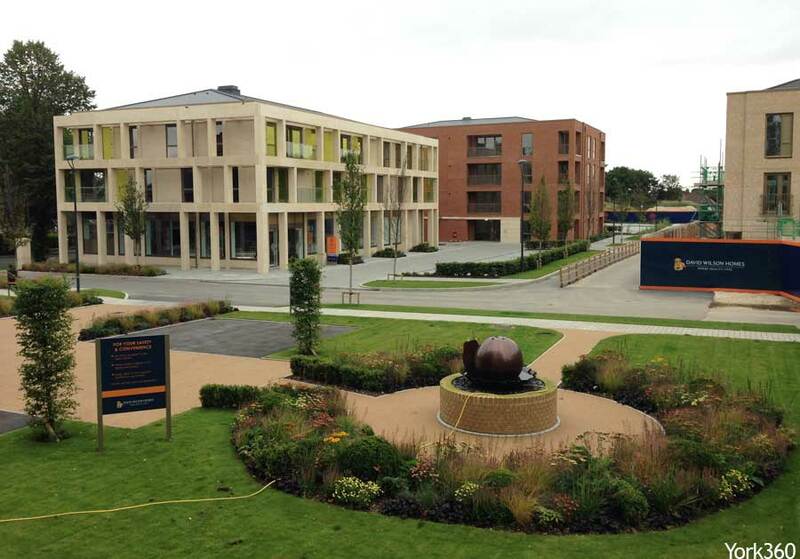 Miller Construction has been appointed as main contractor for the 19 month scheme, expected to be completed by the end of 2012.